Our Admin Volunteer Keiyshia is essential to both our Mentoring Project and Education Project. She works behind the scenes, but her role is vital in getting everything organised! As well as volunteering with Hope for the Young, she’s also involved with other volunteer work, as well as being a primary school teacher. She’s a force of nature! Anywhere in the Caribbean (for the food, the music, the scenery and the beautiful weather!!!). What’s your ideal weekend like? It would begin with a lie-in (and not having to be woken up by an alarm), then maybe having a big cooked breakfast (whilst watching TV). Then maybe having a road trip with my friends to the beach, playing games and having some good food. My favourite film is possiby Total Recall (the original one with Arnold Schwarzenegger). I’ve probably seen it more than 100 times! My full-time job is within the education sector and so I already have an interest in working in this field. I also enjoy volunteering and giving my time to support my local community and those who need help. I liked the role of being an Admin Volunteer because I enjoy working behind the scenes and getting things organised. My typical duties involve me supporting both the Education Fund Project and the Mentoring Project. I update names and organise referral forms of those who have applied to be supported by the Education Fund. I also spend some time updating/organising resources for the Mentors to use with their mentees. The organisation does a lot and supports many people. There’s a lot of preparation and forward planning that needs to be done in order to ensure that things still run smoothly. I’ve definitely improved upon my organisation skills. I’ve learnt to be a better communicator, as I’ve had to communicate with others. I’ve also learnt and seen how much work goes on behind the scenes and I’ve learnt to be more efficient in my work. What do you do in the education sector? What do you like about your job? I’m a primary school teacher and I enjoy my role because it is always rewarding to see the children making progress throughout the year and learning something new. I also want to see that children are enjoying their education and having fun experiences. What (if any) voluntary work do you do outside of Hope for the Young? I have volunteered for a few homeless charities. One of my main volunteering roles currently is for an organisation called Teen Challenge. It’s a Christian organisation which specializes in helping people out of addictions. The organisation also goes out to different places around London serving food and speaking to people on the streets. I’ve really enjoyed the social get-togethers. It’s been a time where I’ve been able to meet some of the young people and also some of their mentors. It’s been nice to hear stories of their achievements and also have some fun together. I see it as a charity that is able to support and reach out to many more young people. Definitely do so! It is a wonderful feeling to know that you’re making a positive difference and impact on someone’s life. 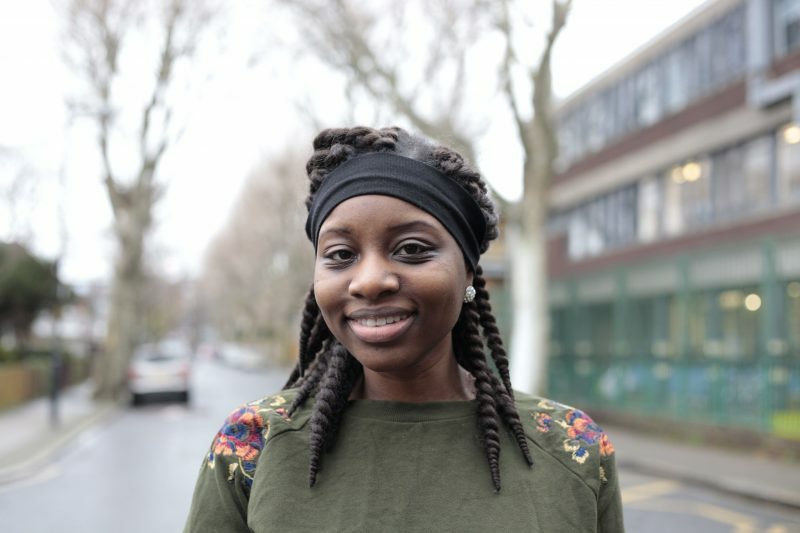 There are loads of amazing opportunities for our young people to participate in each week, but without Keiyshia, our mentors and mentees would never know these exist. Equally, our Education Fund would not be as organised and efficient as it is today if it wasn’t for Kieyshia’s consistency and attention to detail. We want to say a huge thank you to her for all her hard work!